On September 19, 2018 in Amdo, Tibet, the Nangzhig Yungdrung Bon Dialectic School celebrated its One Hundred year anniversary. 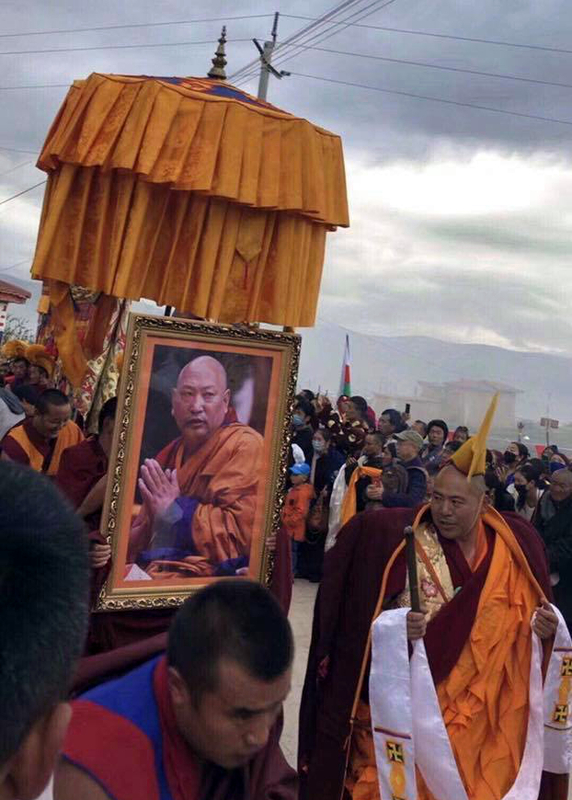 During the celebration, a framed photo of the newly enthroned His Holiness 34th Menri Trizen Rinpoche was ceremoniously brought into the temple and installed upon a high throne. 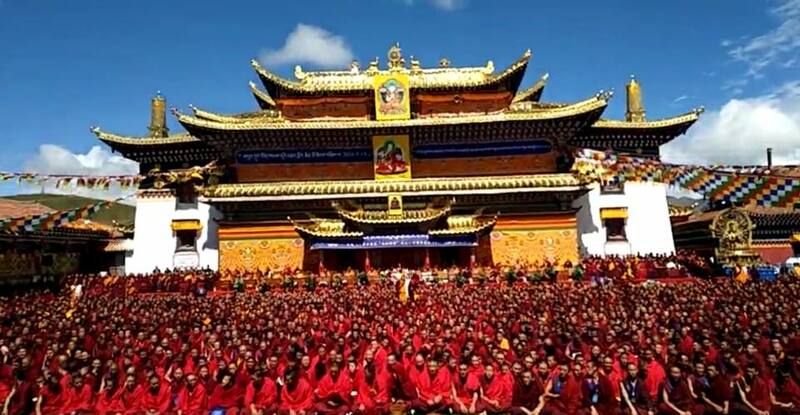 The ceremony was attended by more than 4,000 monks. Posted on September 22, 2018, in Uncategorized. Bookmark the permalink. Leave a comment.